Many people in New Hampshire believe that flood insurance is for homes or businesses that are located on the Seacoast or by a large lake or river. Though these areas are at a higher risk, if it rains where you live, it could flood. This may be technically true, but according to the Federal Emergency and Management Agency (FEMA), between 20 and 25% of all flood insurance claims come from low-risk areas. This means that you don't need to live near a water source to be flooded. Floods can be caused by a heavy rain storm, melting snow, hurricane, and water back-up due to overloaded or inadequate drainage. All of these things have happened in New Hampshire over the last few years. There were three Federal Emergency Declarations in New Hampshire in 2011. Two of the three had to do with severe storms and flooding. As recently as the summer of 2018, heavy downpours flooded areas, like Merrimack and Derry not typically known for flooding. 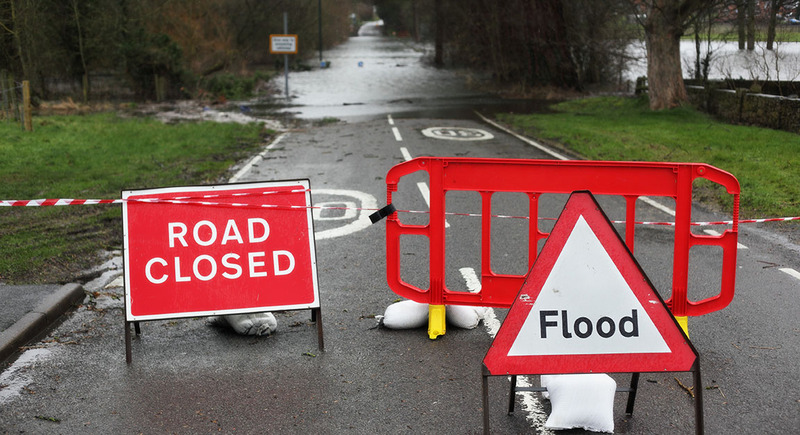 Does Home or Business Insurance Cover Flood Damage? 1. A homeowners insurance policy does not cover flood damage. 2. A commercial property policy does not cover flood damage. How to Cover Property Damage Caused by Flood? You must purchase a separate flood insurance policy. Though individual insurance companies offer flood insurance, the flood program is actually run by the US Government as part of the Federal Emergency Management Agency (FEMA). FEMA set the rules and the rates and allow several private insurance companies to write the policy on their behalf. The premiums are set by FEMA based on the property location and amount of coverage requested. Properties are located in various “zones” and can be classified as being in a “special flood hazard zone” or in a "regular non-hazard zone" as determined by FEMA flood mapping. The closer the dwelling is located to a body of water the greater the likelihood that it is in a “special flood hazard area”. Flood insurance premiums are higher if a property is located in a special flood hazard area. The likelihood of flooding is strictly determined by the designated flood zone, not your personal experience occupying the property. If you do not agree with the flood zone, the only way dispute the mapping is to obtain an elevation certificate. If you are purchasing a building in a flood hazard zone, chances are good that the lending institution supplying your mortgage will require flood insurance, minimum to the amount of the loan. People paying cash for a building are not required to obtain flood insurance but we would strongly recommend it. Buildings away from the water will likely not be considered in a flood hazard area. These property owners can still purchase flood insurance at surprisingly inexpensive rates. Given that much of New Hampshire is not in a high-risk flood zone, premiums are low. According to FEMA, homeowners can insure buildings and contents for as little as $150 a year, while NH business owners can insurance building and contents for as little as $500 a year. How much would it cost to clean up after a flood? You can be sure it is more than $500. At HPM Insurance, we can review the “flood zone” in which your home is located, determine the structure and foundation type and review some coverage options and deductibles with you. Our risk management specialists are experienced with walking you through the options of NH flood insurance and give you the best coverage and price available. Do I Have to Buy Flood Insurance Issued by FEMA? That will depend on whether you have a mortgage on the property and if the lender will allow a non-FEMA backed policy. It is worth asking as there are benefits to some of the new flood insurance products coming to market (like expanded coverage), but buyer-beware as there are also some drawbacks. Be sure to speak with an insurance professional so you have a clear understanding of both options. We hope that the information provided here has helped you gain a greater understanding of flood insurance and its importance. The various severe storms and flooding that has occurred in New Hampshire over the last decade, has made flooding an issue for mortgage lenders, home and business owners. That is why it is so important to us that you have the best protection possible. The good news is that this product is easily available from HPM Insurance. Check out the Flood Insurance Quotes section on our website today to find out more and obtain a hassle-free quote from our Flood Insurance Experts.